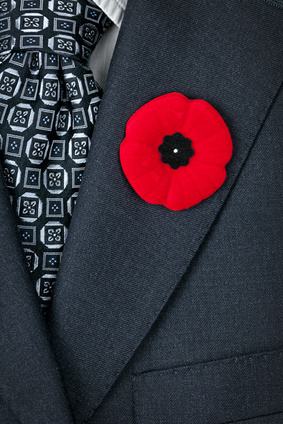 Many countries observe November 11th as a day of remembrance, honoring those who have served and sacrificed in wartime. In Canada, we call this day Remembrance Day. In the United States, it is Veterans Day. It is important that those people’s stories not be forgotten. There are other stories, as well — stories of families who waited (and still wait) at home for loved ones to return, or who mourned (and still mourn) those who did not; stories of children sent from their homes for protection; so many stories. For those of us who have not experienced these deep, wrenching emotions firsthand, there are ways to bring us more closely into these people’s experiences. I have been following the British series Home Fires on PBS, which dramatizes the life of an English village in the early part of World War II. I can highly recommend it as a way to understand some of the day-to-day occurrences, heartaches, and struggles of those on what was called the home front. Two novels I have read more than once, and also highly recommend for this sort of an intimate picture of people’s daily lives at the time of the Second World War, are R.F. Delderfield’s The Dreaming Suburb and its sequel The Avenue Goes to War. The second “is the story of The Avenue and its families in a London suburb during the war. The wail of sirens and the attendant bombs…shook them out of their dreams and preoccupations, bringing out their best and worst qualities.” Both books paint a clear and telling picture of these people’s lives. When we talk about the Narnia books by C.S. Lewis, we don’t often remember that Lucy, Peter, Susan and Edmund were evacuees, “sent away from London during the war because of the air-raids.” Their fantastic adventures are nothing like the realism found in some other books. Canadian author Kit Pearson’s trilogy, The Guests of War — The Sky is Falling, Looking at the Moon, and The Lights Go On Again — tells the story of two children, Norah and Gavin, who were sent from England all the way to Canada. It tells of their struggle to adjust to their new life, their growing up in this new land, and then their having to face going home again after five years away. There is wrenching emotion in each phase. Goodnight Mister Tom by Michelle Magorian tells of a young, scared, abused boy being sent out of London to live with a crusty old bachelor — and then summoned back to London by his cruel and misguided mother. Some scenes are difficult to take, as was life at that time. The story will grip you and you will be grateful to have come to know this boy, and Mister Tom. This book has now been made into a play and a movie. I have seen neither, but based on the effect the book had on me when I first read it years ago, and now when I’ve read it again, I expect that they are just as powerful and moving as the novel. If you can find the book No Time to Wave Goodbye, edited by Ben Wicks (known to Canadians of a certain age as a brilliant editorial cartoonist), you will find the haunting true stories of evacuee children. I highly recommend it. Of course, there are still children, families, nations going through similar things today. Pat Tilton, on her wonderful blog, Children’s Books Heal, has recommended many books for military families and others. You can find the books she has discussed at this link. To learn more about the children who spent the years of World War II as evacuees, I’d suggest these links: school lessons on the BBC’s Primary History website; adults’ memories of their time as child evacuees on a site called Time Witnesses; an article on the Imperial War Museum’s site; and an article on the Museum of London’s website. KidLit TV is Turning ONE! I´m pleased they are airing Home Fires in North America now. We watched it here in Spain this spring and it was very good. They are filming season two now. I have read all the Kit Pearson´s books and they are excellent. One of the gentlemen in my writer´s group was a child evacuee. Very interesting. A great post Beth. Excellent post with great recommendations on different books and shows to look for for this special day. I’m so glad you shared some adult books for Canada’s Remembrance Day. I just noticed “Home Fires” on PBS, and wondered what it is about. Will definitely check it out. Excellent post Beth. So many children were evacuated during the war. I knew people who were. Some experiences were good (apart from children missing their parents) and some were not. So many stories interweave those times and the challenges faced by the community at large. This is a great bunch of resources! Thanks for putting them together! War leaves deep emotional scares on those who fight and the ones who are left to wait and worry.